Millennials spent more money than any other generation on books in 2011 according to the 2012 U.S. Book Consumer Demographics and Buying Behaviors Annual Review. ** This Christian Science Monitor article reports that millennials knocked Baby Boomers off their long-held spot as top literary consumers. See Grandma, I told you I can read something other than my cell phone! But why the sudden shift in dynamic? The answer may be less straightforward than you think. I used to be a big fan of Zooey Deschannel. Why wouldn’t I be? She’s a talented actress with a fun sense of style. Even better, her band She & Him embraces some of my favorite, yet frequently overlooked, genre of music: old country. Not only was I a fan of her movies and cds, but I’d tell my friends about her too–every content creator’s dream! Then I stopped. What happened? You can’t turn on the television or get online without someone talking about this year’s Olympics. Here are some of the articles you don’t want to miss! The second Boston company I’d like to profile is marketing software company HubSpot. I admire this company so much that I’ve applied for a job there. If you’d like to help me turn an application into a hire, tweet this article @HubSpot with the hashtag #HireLindseyHubSpot. Photo-sharing is the most important social media trend of 2012. Facebook purchased photo-sharing application Instagram for $1 billion, even though the acquired company had zero revenue. A little company called Pinterest became the third most popular social media network in the US. From Facebook’s new Timeline layout to the introduction of the TwitPic app, a photo-sharing service for Twitter, the social media world is getting a lot more visual. How do marketers capitalize on this photo-sharing craze? Last Thursday night, I waited with my high school friends to see the midnight premiere of The Dark Knight Rises in my hometown of Knoxville, TN. I left the theater completely inspired by the movie and ready to write my next blog post about our generation’s relationship with superhero movies first thing next morning. Then, the news of the tragic shootings broke. Even though I am a Tennessee girl at heart, I was born in Aurora, CO. In another universe, that could have be me in Theater 8 with my high school buddies. Writing this article without mentioning the shootings would be disrespectful and personally offensive. Yet, examining the relationship between millennials and superhero movies is more relevant now than ever. Allow me to honor the young victims, the majority of whom were under 30, by writing about millennials’ special relationship with superhero movies and sending out my prayers and condolences to all those affected by the shooting. It’s easy to pick out advertisements that could do better, but this week I’d like to focus on two that resonated with me. Not only are they effective in their own right, but both build upon criticisms I’ve made in previous articles. Without further ado, here’s how Pepsi and Camry are doing it right. I just spent a fantastic 4th of July vacation at two historic American cities: Washington DC and Boston. 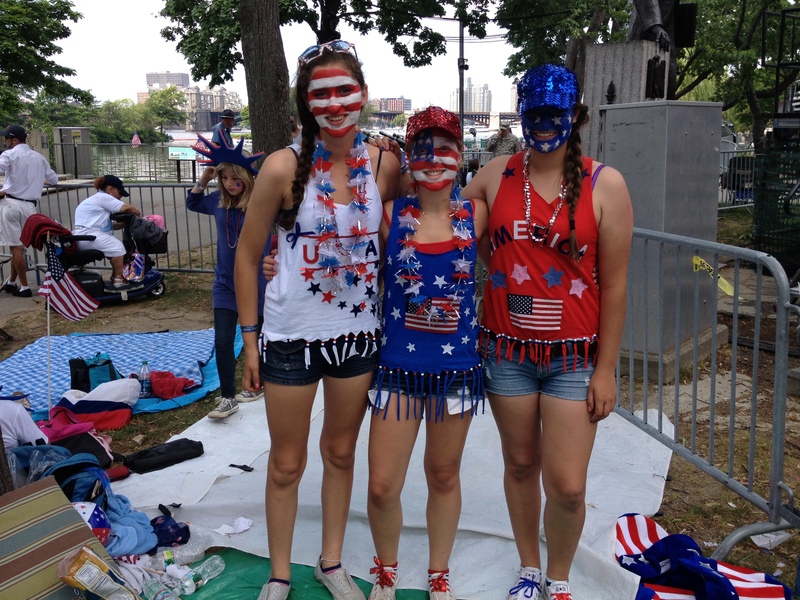 Between fireworks on the Charles river and a tour of the US Capitol, it got me thinking–what does patriotism mean to my generation? Wearing ridiculous red, white and blue outfits obviously. Millennials volunteer at a higher rate than GenXers and Baby Boomers did at their age–82.9% college freshman participated in community service in high school. This number is the silver lining from an otherwise gloomy portrait of my generation from the Journal of Social Psychology and Personality. Aside from our higher volunteer rates, millennials are more narcissistic, extrinsically motivated, aloof to social and environmental problems than the previous two generations. As I reluctantly concluded with a thorough look at this study in the previous article, we are Generation Me. Our selflessly high community service rate? Most likely due to high school graduation requirements and boosting college applications.